26 year old Katarina Rodrigues was crowned Miss World Philippines 2018 at the conclusion of a glittering annual pageant held last October 7 at the Mall of Asia Arena in Pasay City. Katarina from Davao City is currently working as a model. She stands 1.70m tall and is no stranger to beauty pageants. During the Binibining Pilipinas 2017 Pageant, she was crowned Miss Intercontinental Philippines and finished as runner-up at Miss Intercontinental 2017. She was also 2nd runner-up in Asia’s Next Top Model back in 2014. Rodriguez will now be the official representative of the Philippines in the Miss World 2018 contest in Sanya, China on December. Meanwhile, during the same event, former Miss USA 2015 semi-finalist, Maureen Montange was crowned Miss Eco Philippines 2018. She will compete in the next edition of the Miss Eco International competition. 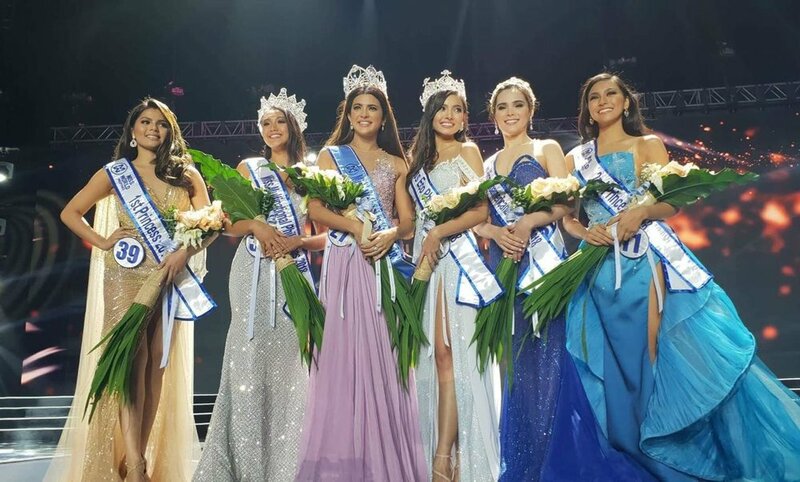 The Reina Hispanoamericana Filipinas 2018 title went to Alyssa Muhlach Alvarez, who belongs to a famous showbiz clan in the Philippines. She will enter and hopes to bring a back-to-back victory at the Reina Hispanoamericana 2018 contest later this year. And finally, Kimilei Mugford from the Filipino Community of Canada was awarded the Miss Multinational Philippines 2018 title. She will compete in the next edition of Miss Multinational pageant. The 1st Princess is Chanel Morales, while the 2nd Princess was Pearl Hung. The 8th annual Miss World Philippines pageant was attended by the Miss World delegation, including the reigning Miss World 2017, Manushi Chhillar, Miss World 2016, Stephanie del Valle and Miss World CEO Mrs. Julia Morley.